Hannah Roberts is a lifelong Chelsea fan, who began following the Ladies home and away in 2014. She writes and Tweets for her CLFCfans blog, as well as having a monthly blog published on the Official Chelsea website. How has this season been for the club so far, and what are your hopes for the remaining games? This season has been one of two halves. We started really well, winning our games in every competition, helping us reach the FA Cup Final (and Wembley) again. We were scoring lots of goals and even though we only kept two clean sheets, we always dominated our games. After a bad performance in the FA Cup Final we’ve really struggled to finish our chances, and our defensive frailties are coming back to haunt us. Since we’re already out of the Continental Cup, we have to focus on the league. We’re still odds on to finish second, and we still have Man City to play, so it’s in our hands really. The aim has to be finishing at least top two, and hopefully win our Champions League Round of 32 tie again this year. What has been your highlight, and lowlight so far? My favourite game so far this season has to be the FA Cup Semi win against City. We were playing poorly but as time went on we were growing into the game, and snatching the last minute equaliser was brilliant. In extra time we dominated and you could feel the goal coming, and the place absolutely erupted when Fran smashed home the winner! The crowd was also one of the biggest we’ve seen at Staines. Ironically, the lowlight would be the Final of the same competition – getting back to Wembley was such a massive deal, but we just didn’t show up. From the first minute we looked out of our depth and Arsenal’s gameplan completely pulled us apart. It was a big reality check for everyone. I cried a lot! Although she’s missed the last month injured, our key player has to be Fran Kirby. She’s still our top scorer, and her absence is definitely one of the reasons we’ve struggled recently. I can’t wait for her to come back! We’re a different team with her, because she’s just such an excellent finisher that she’s not afraid to take strikes, and in recent games it has been our finishing of chances that’s let us down. What are your opinions on the move to the winter season? 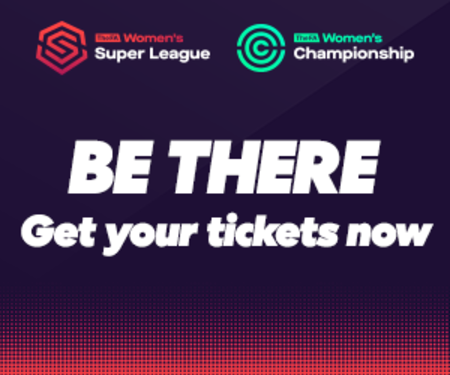 I think this is ultimately the best decision for the standard of football we’re going to see in the WSL. I look forward to seeing us reach the next level with consistent training and matches. On the field, I think our greatest strength is that we are just really fun to watch. We like to attack with pace and flare, and we have the players to do it really well. Even when we don’t have the ball, all of our players love to get completely stuck in, and you can tell that the crowd always loves the commitment of some of our tackles! Off the field it has to be the sense of community and togetherness that we have at Staines. There are lots of regular fans and so you get to recognise faces, and even the people you don’t know are friendly and willing to chat about Chelsea Ladies. 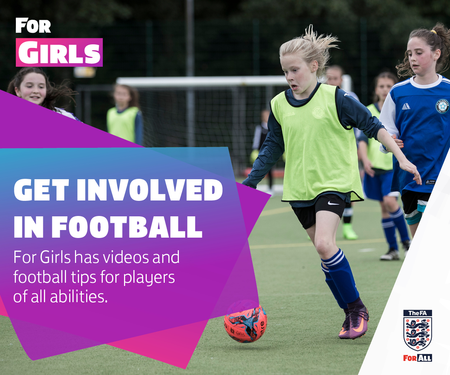 During the game, it’s not one group of fans that lead the chanting – there’s little pockets of us all around the ground getting involved in cheering the girls on. When the game is tense, you can count on us to be the twelfth man. 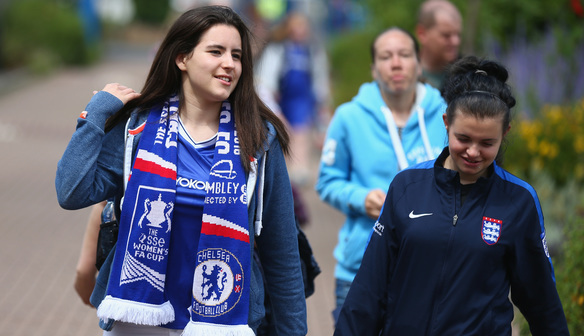 In ten words or less – why should everyone get down to a Chelsea Ladies game? Two things are guaranteed – goals and a great atmosphere!